A poetic, slow-moving, post-Fukushima exploration of the re-discovery of life (and work) in the Japanese countryside, in the "field" of organic farming in the Kyoto region. 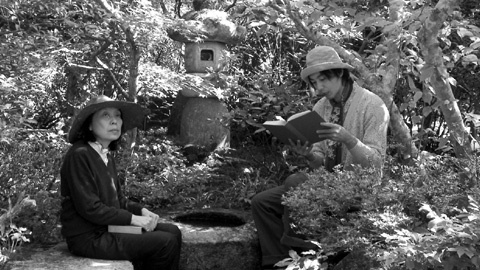 Shot on video with limited means, this is a pleasant, minor achievement from French director Christian Merlhiot, who elegantly shows off his intimacy with Japanese culture, arts, film history, and psychology, trying hard to give the beholder more than meets the eye. In the wake of the "slow food" concept, which re-introduced the art of eating well to Westerners after decades of "fast food", here comes the sibling concept of "slow life", or the art of "living well" as re-discovered by Japanese urbanites after decades of industrial and capitalistic turmoil, either in the cities, where they turn to planting rice as a way to relieve stress, or in the countryside, turning their efforts to living off the land again. Merlhiot's cinema often verges on the experimental, midway between video art and traditional fiction. Shot in Japan in 2004, his first feature film Silenzio explored, without resorting to dialogue, an unlikely relationship between a Japanese man and a French woman looking for her father. Merlhiot's approach as a filmmaker is less to narrate a traditional story (and even less to force it upon the viewer) than to explore the potential (and "accidents") of bodily language and corporal aesthetics by placing his protagonists in new and different environments. Slow Life was shot with the sponsorship of the Villa Kujoyama foundation in Kyoto, meant to build a bridge between French and Japanese artists, with the prerequisite that every creation be part of a Japanese social reality, especially in the Kansai area. Christian Merlhiot's original intention was to shoot a film about onnagata, the female impersonators of the Kabuki theatre. But the Fukushima tragedy urged him to radically change his plans and create a film more in tune with the new preoccupations of the Japanese people, namely a return to nature and "health food" after such an environmental disaster as Fukushima, and decades of an alienating city life. Merlhiot decided to film Slow Life in Ohara, where the prestigious Doshisha University had bought acres of land and a farm in order to conduct research into organic farming and growing. 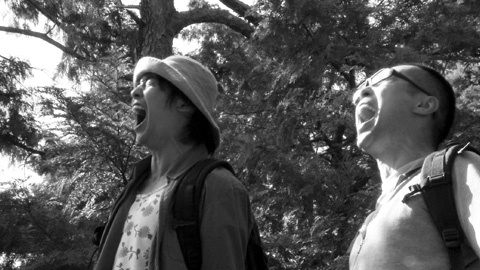 The director then resorted to his regular collaborator Kentaro Sato (who is actually a dancer) in order to "act" as an intermediary between the (small) film crew and the students and "teachers" living and working in the farming village. 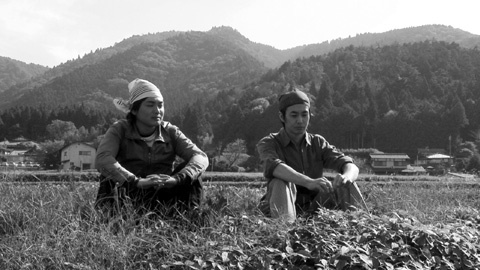 Like Silenzio, Slow Life has scarce dialogue and mostly shows Sato's dignified character helping out the young farmers out in the fields or inside the farms, sometimes interviewing them to sound out their feelings about living in an environment which is a complete counterpart to their former city life. Though Sato's character seems on his way to courting a shy female fellow farmer, director Merlhiot subtly suggests his male protagonist's homosexuality in a forest scene where a city friend and visitor casually lies down and places his head in Sato's lap. 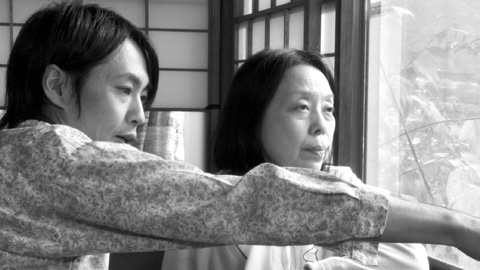 Fiction in the film arises from the way director Merlhiot traces a wry, slightly comedic relationship between considerate newcomer Sato and a mischievous, silent old lady, who seems to be battling mental illness. The director imbues this intriguing and decidedly slow-developing relationship with subtle tones of comedy, fantasy and social commentary, until an absurdist ending which serves both to turn the old lady into a supernatural character (seemingly born of the mist shrouding the mountains around Ohara), and as a metaphor for the relegation of the elderly to the margins of society (the character suffers from an illness that makes her literally disappear ). 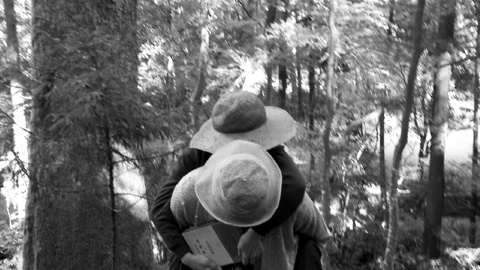 Furthermore, the documentary overtones of his work do not prevent Merlhiot from opening his film up to Japanese cinematic influences, for example by showing us Kentaro Sato walking up a mountain with the old lady on his back. The reference to The Ballad of Narayama (Narayama Bushiko) will not escape most Japanese film enthusiasts. It forms one of the charms of a film in which the limited aesthetic potential of video is ultimately not too detrimental to a pleasurable sense of "Japaneseness", born of a muted, contemplative treatment of the oft-explored topic of Man and his environment(s).